Civic spaces should be welcoming and safe for all members of our community, and the Riveters Collective is committed to systemic change toward this goal. Campaigns – as pop-up, temporary, high-intensity workplaces – are especially vulnerable to abuses of power. 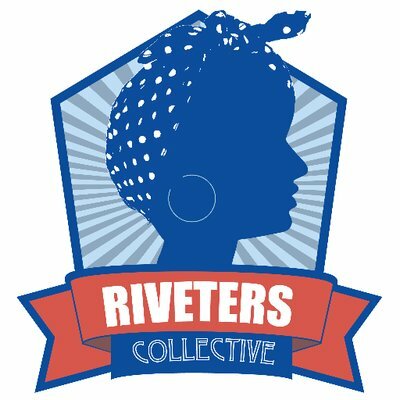 In 2018, the Riveters Collective PAC Pledge to Vote Campaign followed the lead of Tim Ballew II’s campaign for state senate (led by Tim Ballew II’s 2018 State Senate campaign, written by Tim’s field manager, Michael Peñuelas) in requiring all campaign workers sign a code of conduct, and in designating external reporting contacts. In 2019, implementing a code of conduct will be a prerequisite for any campaign to be endorsed by the Riveters Collective. To make this easy for campaigns, we’ve provided a model code. We will accept a campaign’s code of conduct provided it meets the following criteria. And importantly, identifies a point person, aside from campaign leadership, who can be contacted with concerns. Beyond our endorsement process, we have advanced this issue by proposing and passing a similar requirement for the Whatcom Democrats endorsement process, and we are working with people at the state level to implement codes of conduct at a state-wide level.